Surrounded by five of the best ski resorts in the world, you will not want to holiday anywhere else. Just 500m from the chalet you will find the Les Ecudets ski lift which will transport you to 1900m and the La Rosiere ski resort. With 160km of pistes, La Rosiere Espace San Bernado resort is perfect for your winter holiday. Considered one of the sunniest ski resorts in France it is also a unique international ski area in the Northern French Alps linking La Rosière in Savoie with La Thuile in the Aosta Valley in Italy. Whatever you are looking for in your winter holiday you will find it at Alps Haven. 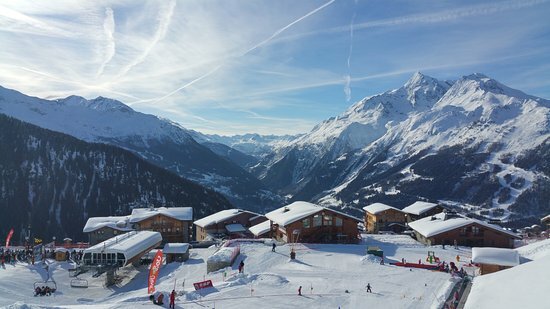 Described as 'natural ski' the Sainte Foy resort is north-west facing so benefits from great snow conditions. Open pistes on the higher elevations and tree skiing on the lower slopes. Sainte also has a number of skitouring itinerary routes. With Les Arcs linked to La Plagne and Les Coches they form the Paradski 'mega' resort. Whatever winter sport/fun you are looking for you will find it at Les Arcs. Easily accessible from Alps Haven via the funiculaire in Bourg St Maurice. Together Val d'Isere and Tignes form Espace Killy giving you over 300km of pistes. World renowned providing you with some world class skiing/boarding. If you get fed up with all the winter sports the shopping and dining in Val d'Isere is pretty good too!